The Chad Valley Circus Friends Door Bouncer affords baby an amazing amount of freedom of movement as little ones set out on their tentative walking expeditions, before they can walk with full confidence. 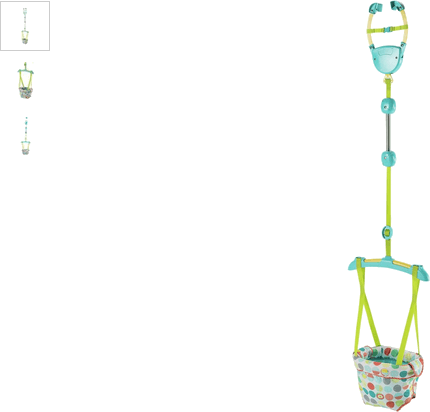 Suitable from six (6) months (as long as your baby can hold their head up unaided) this adjustable height bouncer has a supportive saddle baby can joyously bounce around in and vibrantly wacky characters in front of them to captivate them on their journey. Get money off with April 2019 free Argos voucher codes, see if there's a promo code for the Chad Valley Circus Friends Door Bouncer product. Argos may be out of stock of this product. To enhance your shopping experience you may also be redirected to a search results page when you click an outbound link.